Shocking crime reports we all need to be aware of! 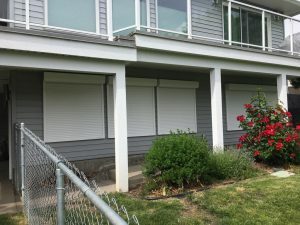 If you haven’t thought about adding Rollshutters to your home or business, you should! Kelowna’s latest crime stats (retrieved from infonews.ca) show that crime & break-ins are on the rise. The RCMP presented it’s third quarter report to the city council on Dec 3rd, 2018 that showed a 19.5 percent jump in property, personal & other offenses throughout the city. In downtown Kelowna alone, the crime rate took a staggering jump of 46.5 percent. Being a business owner in Kelowna, those stats scare me, but what makes me feel a little more at ease is knowing I’m protected. Your house is your where you raise your children and have built it in to a home. Your business is your investment, livelihood and something you are proud of. Both of which you do not want broken in to and the things you have worked hard for, damaged and/or stolen. Choosing the right security systems are so important. Locking a couple doors just don’t seem to be enough anymore. There are many different options on the market these days. From alarms to motion sensors, video surveillance and Rollshutters – so many choices! You want to make sure you get the best and the most out of your money. 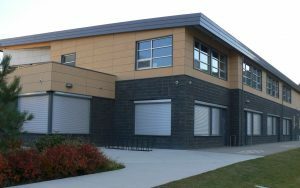 Installing security Rollshutters is one of the best methods of securing your property and/or business. 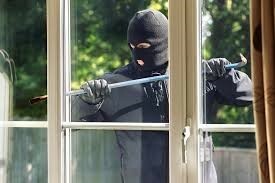 Most intruders get in through your doors and windows. Unsecured and bare openings are an invitation to the thieves and vandals. Rollshutters cover the entry points that may be vulnerable to letting the unwanted in. When prying eyes are scoping out their next invasion or a desperate burglar looking for an easy target, having a Rollshutter acts a huge deterrent. There is no easy way in any more. No Matter what color and/or style you choose, the premium quality options do not compromise your design. Nothing should be sacrificed when it comes to the appearance and protection of your home and/or business. So in conclusion, when you are purchasing your next security feature for your home and/or work place, make sure you get something that will give you many benefits and the best protection.